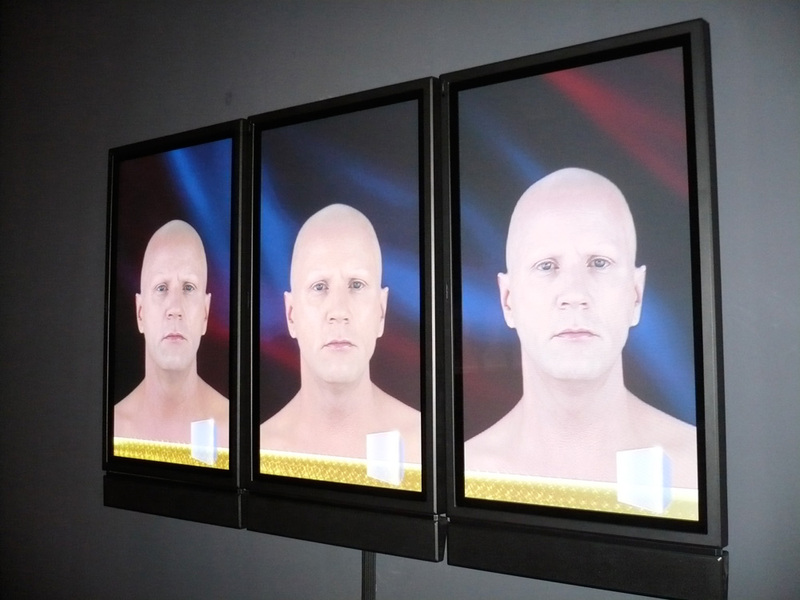 Deadly Storms 333, is a 9 channel video installation designed for 9 vertical flat screen monitors. Taking the format of breaking news broadcasts, borrowing visual and auditory vernaculars, Deadly Storms 333 creates an environment of foreboding tension and social unrest playing out in real time. 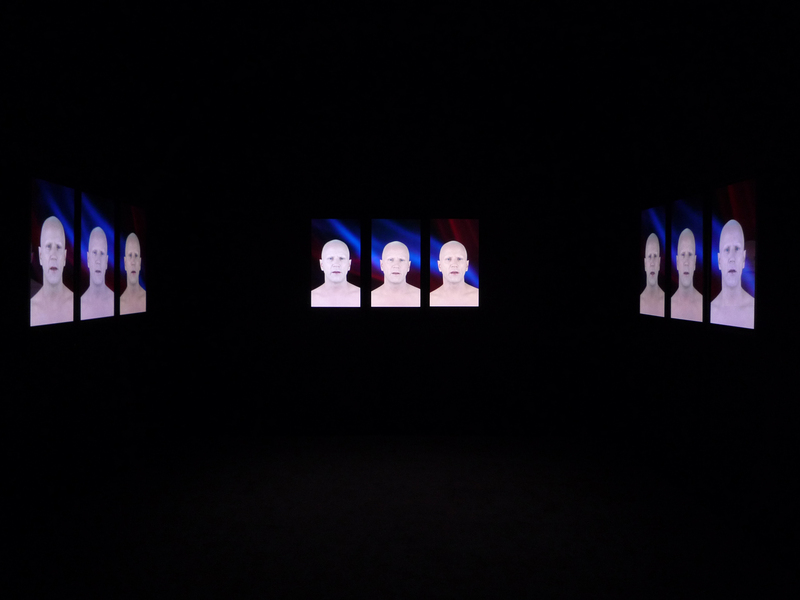 The installation is composed of three sets of three vertical flat screen monitors installed onto 3 walls, each set depicts the same androgynous figure seemingly reporting on breaking, real time events. Each news anchor speaks in a selection of terms and sound bites, accompanied by graphics and visual tropes that have become synonymous with contemporary new broadcasts. Tension and paranoia is constructed through the tonality of speech and accompanying sound effects, as each anchor reports on an “on going situation”, which is never defined. In DEADLY STORMS, nine identical figures, which have been separated and arranged into three triptychs (each consisting of three vertical plasma screens), repeat phrases and statements of alert and threat as well as what appears to be seemingly happy journalism. The repetitive elements and structures are set to a composition of rhythms which exercise a hypnotic power on the viewer that, together with the utterances and emotionally charged language, serve the traditional rhetorical strategy of enchantment and persuasion. 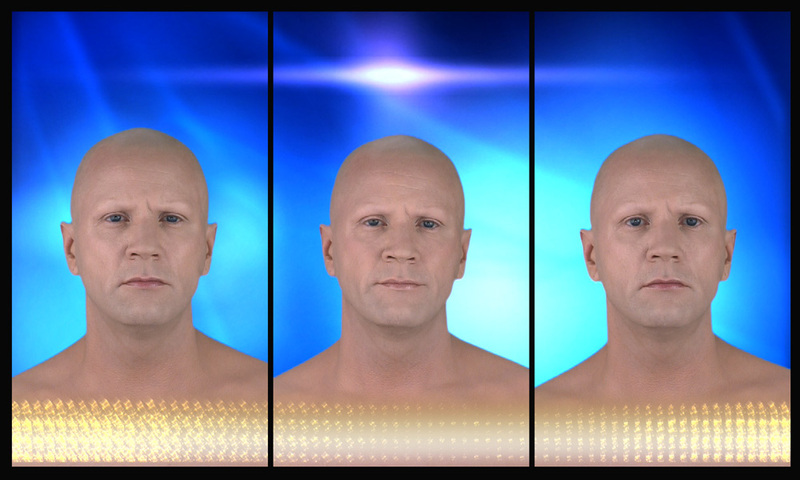 The gaze directed out of the picture is suggestive of a direct appeal and refers to composited framed “talking heads” in news broadcast, who while reporting the news, are always addressing the viewer as if having a one-on-one conversation. 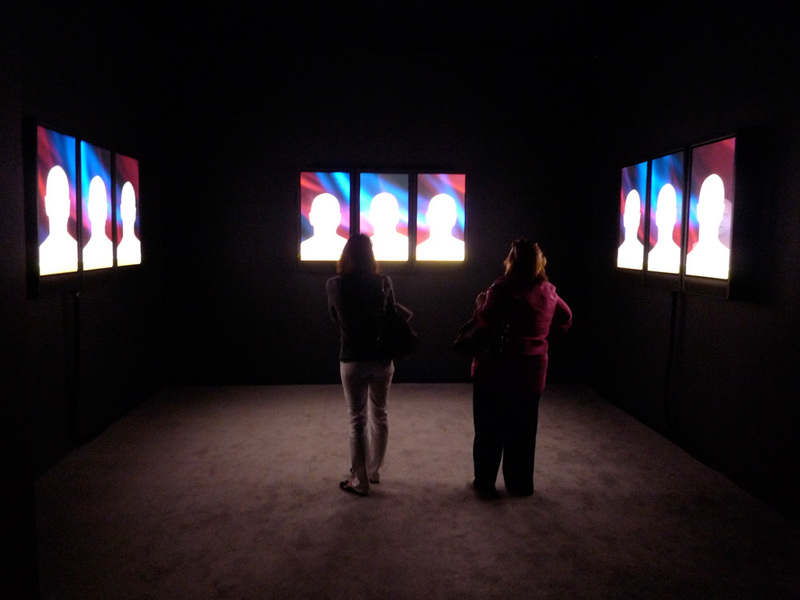 The psychagogic effect of the image is intensified in Melhus’ work by the rhythmic and often melodic articulation of the text, which is spoken synchronically and with varied vocal emphasis. DEADLY STORMS is based on appropriated audio footage from the US American news network FOX NEWS. During the last 10 years Rupert Murdoch’s FOX NEWS became one of the most powerful and influential news networks in the United States. Claiming to be “fair and balanced”, the over designed propaganda machine creates an atmosphere of permanent alert and fear. DEADLY STORMS tries to focus on the overall tone, the manipulative carrier of the content, rather than on the grotesque political content itself.